Samastitihi. The first word you may hear in a lead ashtanga yoga class (provided there is no opening chant). Samastitihi. 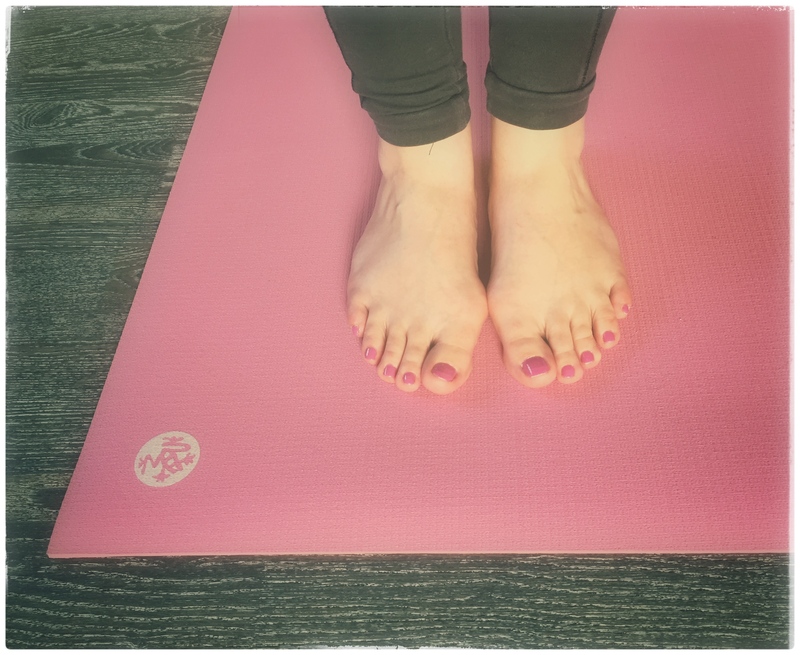 Stand at the front edge of your mat, feet together, heels just slightly apart, spreading your toes (if you can – I never seem to manage). Legs engaged, spine straight, arms relaxed but ready for action on your sides, gaze forward. Then push your toes down against the ground. It’s all about the ground, and grounding. Even if it may look like a call into action. Samastitihi is about finding your balance just by standing still, truly feeling your center of weight settle down on its vertical axis. In samastitihi, a body could grow roots through the mat and into the ground, and leaves from the head. In samastitihi, the body could pull up energy from the ground, run it through the spine, and push it out through the top of the head. Unless you practise yoga (or do military service), when have you last stood still? When did you last stand with your feet together instead of kind of hanging on one foot, or with your arms on your sides instead of crossing them anywhere on your body? When was the last time you stood still, gazing in one direction only? When did you last stand grounded, aware of how gravity of our huge Earth does its best to pull down every bone in your body while you keep holding your head up high? Categories: Lifestyle | Tags: yoga | Permalink. Thank you for this. I haven’t been to yoga in a week, what with my mother’s issues. I can’t wait to go back. I hope the yoga practice will bring you serenity, and a lovely weekend.